Herbal remedies for dermatitis should be directed at decreasing the extent of the itching, repairing the skin, and if needed, attempting to decrease the level of local inflammation and a treatment with the correct medicinal herbs should go along way in achieving some, if not all, of these goals. Dermatitis is a fairly common disease that while not life-threatening, has the potential to be detrimental to a high-quality lifestyle. There are multiple types of dermatitis, including contact dermatitis, which is caused by contact with an allergen or irritant; neurodermatitis, which is formed by repeatedly scratching an itchy portion of skin; and atopic dermatitis, which is common in people who have allergies such as hay fever or asthma. A variety of medicinal herbs has been used as herbal remedies for dermatitis. In general, when using herbal preparations as a treatment for dermatitis, caution should always come first, since herbs can interact with other herbs, medications or supplements. As a result, it is critical that herbal remedies should be used only by patients that have first consulted with a physician or other healthcare provider. Further to that, some herbal medications should never be used on skin with open sores or wounds, as an infection could result. Chamomile is used to describe two separate but closely related species of plants: Matricaria recutita (Hungarian or German chamomile) and Chamaemelum nobile (English or Roman chamomile): both which may be useful to treat dermatitis. Chamomile contains a variety of different terpenoids and flavonoids that may lead to its effect. 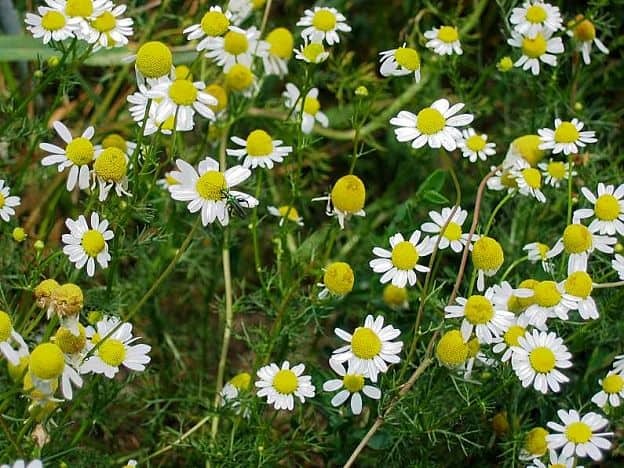 Chamomile can be used to treat dermatitis as a poultice. Alternatively, it can be used as a commercially available cream, lotion or ointment. In one publication, a commercial cream made with 10.5% chamomile extract as its chief active ingredient, was compared to 0.5% hydrocortisone cream for the treatment of dermatitis over a period of two weeks. The investigators concluded that the chamomile-based cream showed a mild superiority over the hydrocortisone cream comparator. While there are some reported benefits of using chamomile as a tea preparation to treat dermatitis, there is greater evidence to suggest its utility when used directly on the affected skin. It has been reported that products containing chamomile extracts can cause skin rashes and eczema in people with chamomile allergies. People with known allergies to ragweed, echinacea, sunflowers, dandelions, marigolds, arnica montana, sagebrush, yarrow, tansy, mugwort, feverfew, celery, or birch pollen should exercise caution if they decide to use chamomile. Pregnant women, women who can become pregnant or are breastfeeding should avoid chamomile, altogether. One practical way to use chamomile for the treatment of dermatitis is to take one tablespoon of the dried herb and add one cup of boiling water. Let the mixture rest for approximately 15 minutes, then strain it and let it cool to room temperature. Dip a clean piece of gauze in the mixture, then, gently apply it to the rash. Leave the soaked gauze in place for 20-30 minutes, then repeat the process. This exercise can be conducted as many as three times daily, as needed. It has been used as a Chinese folk medicine for over 200 years due to its effective anti-inflammatory properties. Modern herbalists mainly prescribe it for diseases of the skin, to include an herbal remedy for dermatitis. Although often taken by mouth in commercially available capsules, raw herb or tincture, current practicing herbalists also make use of chickweed-based creams to treat affected skin in an effort to reduce the extent of itching and inflammation. The traditional use of chickweed requires three daily ingestion of a tea or 1-5 mL of a tincture. It should be noted that chickweed can actually cause more extensive contact dermatitis in people who have previous allergies to the daisy family. Chickweed should never be consumed internally or be used externally by pregnant or nursing women. Chickweed contains chemicals called nitrates. Symptoms of nitrate poisoning include weakness, fainting, bluish fingers or lips, and dizziness. If after using chickweed, any symptoms of nitrate poisoning are experienced, the patient should immediately contact a health care provider. Marigold has anti-inflammatory as well as antiseptic properties, which support a storied history: from use in ancient Egypt; to treating wounded soldiers during the US Civil War; to modern times. Marigold is an ingredient in a variety of preparations used for soothing irritated skin, such as that found in cases of dermatitis. Marigold is generally available in most natural health food stores, commonly in both cream and ointment forms. Further, the herb can easily be found in the form of fresh or dried marigold, tinctures, and extracts. Skin compresses can be prepared by immersing cloth into cooled marigold tea. Scientists at Baqiyatallah University of Medical Sciences in Tehran, Iran, demonstrated that when applied three times daily for 10 days, Calendula officinalis was an effective treatment for diaper dermatitis. No adverse effects were reported. The authors concluded that Calendula officinalis may serve as an effective, yet safe treatment for diaper dermatitis in infants. Acute dermatitis is a common occurrence when women with breast cancer are treated with radiotherapy. In a study enrolling over 250 patients at the Department of Radiation Oncology, Centre Léon Bérard, in Lyon, France, investigators found that when applied topically two or more times daily, a Calendula officinalis-based cream was more effective at preventing dermatitis than trolamine, which is considered the standard of care. Marigold is generally considered to be safe. With that said, it is always possible that a person could have a serious reaction to any herb or medicine. People with a known allergy to the pollen of plants belonging to the daisy family or ragweed have a low, but a greater chance of a reaction than those that do not. Also quite rare, it is possible that some individuals who frequently use marigold as a skin remedy may develop an allergic reaction. Lastly, it has been traditionally believed that the menstrual cycle can be disrupted by the marigold. As a result of this thinking, some believe that marigold should be avoided by those that are pregnant, trying to become pregnant and nursing. Licorice is likely the most commonly used herb in traditional Chinese medicine and it has been used for hundreds of years as an herbal remedy to treat skin disorders such as dermatitis. Licorice is believed to have excellent anti-inflammatory properties, with activity on par with that of hydrocortisone. In fact, when used excessively, licorice may even prolong and/or intensify the effects of hydrocortisone. According to Saeedi, et al, from the Department of Pharmaceutics at Mazandaran University of Medical Sciences in Sari, Iran, showed that licorice was effective in reducing the incidence of skin redness, swelling and itching over a two-week period of time. They concluded that Glycyrrhiza glabra extract may be considered an effective treatment for dermatitis. The worst of the side effects associated with the use of Glycyrrhiza glabra is associated with high oral doses, and include increased blood pressure. Side effects associated with the smaller amounts that get into the body through topical use are more minimal and may include pain or numbness. In order to be safe, it is always best to consult with a healthcare provider to monitor the use of licorice for safety. Witch hazel cream may be effective for itching, while witch hazel liquid can work for weeping or oozing dermatitis. Dr. James Duke a botanist and medicinal herb expert, claims that witch hazel, as a result of the high tannins content found in the herb, is one of the best astringents available. In a publication by Korting, et al, from the Dermatologische Klinik und Poliklinik, Ludwig-Maximilians-Universität in Munich, Germany it was reported that Hamamelis virginiana showed anti-inflammatory effects in experimental models of inflammatory skin disease. Nonetheless, they concluded that in the treatment of moderately severe dermatitis in humans, a cream based on Hamamelis virginiana was no more effective than placebo based on its effect on itching, redness and scaling after one week of treatment. Rather, in this study, 0.5% hydrocortisone cream was shown to be a superior treatment choice. The preparation was well tolerated. Witch hazel is usually available commercially in liquid and cream form. It can be made into a decoction (herbal extract) by boiling a teaspoon of powdered leaves or twigs per cup of water. After 10 minutes of boiling, strain and cool the resultant liquid. This liquid can be either applied directly to the affected skin or mixed into a lotion. While there are no known side effects known to be associated with the use of topical witch hazel, it is important to contact a healthcare provider immediately if unpleasant side effects are experienced. Although very rare, serious allergic reactions to the herb have been reported. Seek immediate medical attention if any of the following occur after using witch hazel: rash, itching or swelling of the face, tongue or throat, severe dizziness or difficulty in breathing. This plant is a member of the lily family and native to Central America. 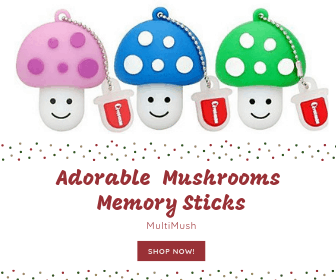 The root of this plant was extremely important as a medicinal herb in the past and its great utility has allowed it to stand the test of time and is still currently in use. While sarsaparilla is mainly taken orally for systemic uses, it has also a strong tradition as an herbal external treatment for skin disorders such as dermatitis and psoriasis. Although there has been much written on the use marshmallow to treat dermatitis, this is most likely based on folk and traditional usage, as the scientific literature does not seem to contain any evidence of this remedy being successful or unsuccessful for that matter. In any case, when applied topically, the gel obtained when marshmallow is mixed with water can be soothing and protective to skin injuries. St. John’s Wort can be used as an herbal remedy for dermatitis in the form of a poultice. An Australian clinical study demonstrated that when St. John’s Wort was applied topically to 21 patients with mild to moderate dermatitis, it showed anti-inflammatory and pain relieving properties. In this study, a Hypericum-based cream was applied twice daily for 4 weeks. The treatment reduced the intensity of the lesions as well as the appearance of the bacteria staphylococcus aureus on the affected skin. The authors were not certain if these results could be replicated with orally administered St John’s Wort. These findings were confirmed in at least one pre-clinical study and one controlled clinical trial. In most cases, St. John’s wort is taken by mouth and little is known about the potential dangers of using it directly on the skin. As a result, if St. John’s wort is used to treat dermatitis, it should be under the supervision of a health care practitioner. Correale CE, Walker C, Murphy L.: Atopic dermatitis: a review of diagnosis and treatment. Am Fam Physician. 1999; 60:1191-1198. The University of Maryland – Medical Center Complementary Medicine, 2010. Graf J.: Herbal Anti-Inflammatory Agents for Skin Disease. Skin Therapy Lett. 2000; 5:3-5. Patzelt-Wenczler R, Ponce-Pöschl E.: Proof of efficacy of Kamillosan(R) cream in atopic eczema. Eur J Med Res. 2000; 5:171. Ma L, Song J, Shi Y, et al. : anti-hepatitis b virus activity of chickweed [Stellaria media (l.) vill.] extracts in hepg2.2.15 cells. Molecules 2012; 17: 8633-8646. Steven Foster & Rebecca Johnson: Desk reference to nature’s medicine. Washington DC. National Geographic. 2006. Panahi Y, Sharif MR, Sharif A, et al. : A randomized comparative trial on the therapeutic efficacy of topical aloe vera and Calendula officinalis on diaper dermatitis in children. Scientific World Journal. Epub 2012 Apr 19. doi: 10.1100/2012/810234. Pommier P, Gomez F, Sunyach MP, et al. : Phase III randomized trial of Calendula offcinalis compared with trolamine for the prevention of acute dermatitis during irradiation for breast cancer. J Clin Oncol 2004; 22:1447-1453. Tierra, Micahael: The Way of Chinese Herbs. New York. Pocket books. 1998. Saeedi M, Morteza-Semnani A, Ghoreishi MR.: The treatment of atopic dermatitis with licorice gel. J Dermatol Treat. 2003; 14:153–157. Duke, James A.: The Green Pharmacy: Anti-Aging Prescriptions. Emmaus, PA. Rodale, Inc. 2001. Castleman, Michael: The New Healing Herbs: The Classic Guide to Nature’s Best Medicines. Emmaus, PA. Rodale, Inc. 2001. Korting HC, Schäfer-Korting M, Klövekorn W, et al. : Comparative efficacy of hamamelis distillate and hydrocortisone cream in atopic eczema. Eur J Clin Pharmacol. 1995; 48:461-5. Hechtman, Leah: Clinical Naturopathic Medicine. Chatswood NSW, Australia. Elsevier Austalia. 2012. Sosa S, Pace R, Bornanciny A, et al. : Topical anti-inflammatory activity of extracts and compounds from Hypericum perforatum L. Journal of Pharmacy and Pharmacology. 2007; 59: 703-709. Schempp CM, Windeck T, Hezel S, et al. : Topical treatment of atopic dermatitis with St. John’s wort cream – a randomized, placebo controlled, double blind half-side comparison. Phytomedicine. 2003; 10 (Suppl 4):31-37. Wood, Matthew: The Earthwise Herbal: A Complete Guide to New World Medicinal Plants. Berkley, CA. North Atlantic Books. 2009. Castleman, Michael: The New Healing Herbs: The Essential Guide to More Than 125 of Nature’s Most Potent Herbal Remedies. Emmaus, PA. Rodale, Inc. 1999. Balch, James F. and Phyllis A Balch: Prescription for Nutritional Healing. Garden City Park, NY. Avery Publishing Group. 1990. Duke, Dr. James: James Dukes Essential Herbs. Emmaus, PA. Rodale, Inc. 1999.